In our endeavour to act on the suggestions we receive, we have some good news for the UPSC Civil Services aspirants. 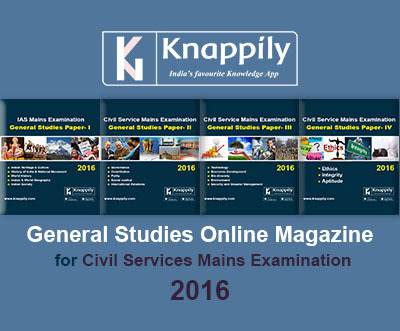 With the Civil Services (Mains) Exam barely a month away, Knappily has created customized magazines in line with the four General Studies (GS) papers. These time-saving magazines cover almost every important current GS topic in the best way possible. Visit www.knappily.com/magazine to grab your copy for free. What is the purpose behind releasing this magazine? Our readers have overwhelmed us with positive reviews and response. In a short span of eight months we have crossed 50,000 downloads on Google Play Store. We are not just the fastest, but also the highest rated app with 50k+ downloads in the ‘News and Magazines’ category. This has driven us to serve our readers better by acting upon their feedback. Providing an online magazine is one such initiative from us. This magazine will be useful to anyone who likes to know more, and if you like Knappily, this will serve as the collector’s edition. 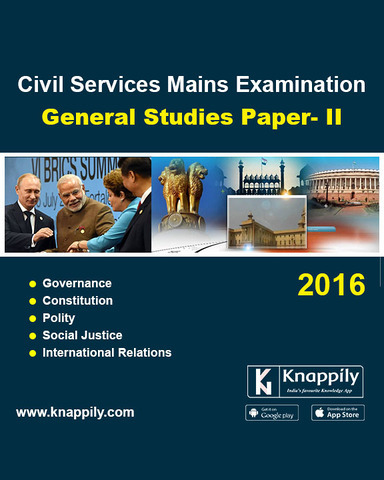 However, there is one particular category of readers that has demanded such a magazine for a long time - the UPSC Civil Services aspirants. We dedicate this magazine to those who aspire to be the top bureaucrats of the nation. The magazine is structured as per the requirements of their syllabus. 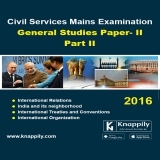 This magazine is in line with the changing trends of the UPSC Mains Examination, and we can safely conclude that it will serve as a powerful tool in quickly and completely covering the General Studies (GS) part of the syllabus. These are not new Knapps - all the Knapps compiled here have been published on Knappily already. It is just that we have structured them as per the syllabus (split into four papers of General Studies) so that our aspirant-readers find it more convenient reading the Knapps. As we have published four different magazines for General Studies, the reader’s burden in segregating or bookmarking the Knapps will be reduced. It is not uncommon for us to get emails which suggest that managing 500+ bookmarks is cumbersome. We want our readers to cherish the journey of gaining knowledge from India’s favourite knowledge app. We want our readers to understand that we will go the extra ten miles to ensure they feel fulfilled. Why should a UPSC aspirant read this magazine? 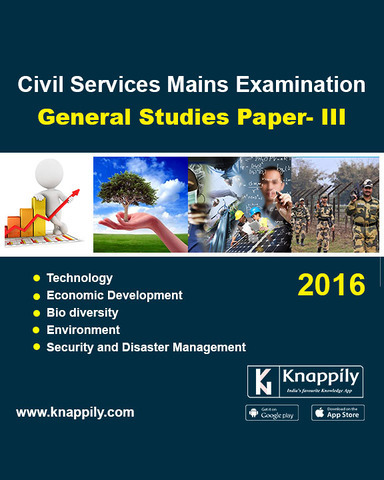 If you are a Civil Services aspirant, there are three reasons why spending your crucial time on this magazine will be worth it. Quality: We spend considerable time on preparing each Knapp; thus the content provided is of high quality. Coverage: We have the best content creators who leave no page unturned to provide a comprehensive analysis of all relevant topics for the exam. In fact, one of them went on to clear the exam in 2015-16! 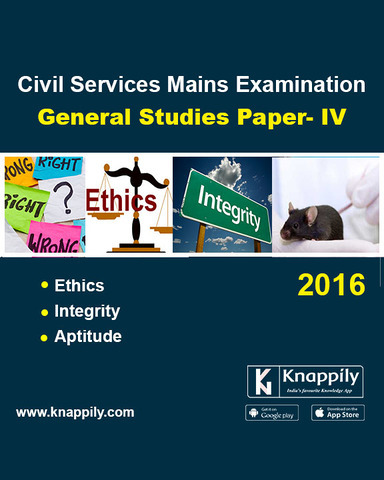 Relevance: The Knapps are relevant to the questions being asked in the Mains examination. We have covered issues from all the major newspapers of India like The Hindu, The Indian Express, Business Standard, Mint and Financial Express as well as the global publications like the BBC and the Wall Street Journal. 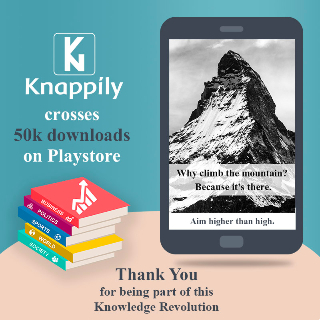 If you like this effort (it has taken hundreds of man-hours to create the content and the magazine), the only return we expect is for you to spread the word about Knappily to those who need it. We will launch Knappily in all major Indian languages within a year. The Hindi version (we have received scores of emails asking for it) should be live in a couple of months. Our aim is to bridge the digital divide, and the best way to do that is to not let language be a barrier in accessing knowledge. When can this magazine prove to be beneficial? 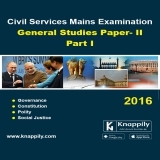 With just one month to go for the Civil Services (Mains) written exam which is scheduled in December 2016, this magazine can be a saviour for many who are facing time crunch and are juggling with their jobs along with preparation. Those who have missed making their notes due to various reasons may find this initiative very useful. Even if you have made notes, our 5W1H format will be a powerful tool to ensure you retain what you read. This can also prove beneficial for those who want to get quick stats and examples on the topics which can be effectively used in essay and GS papers. For those in the early stages of their preparation, here is a chance to learn about the important topics of this year and strengthen your building blocks. Remember, most aspirants will write an average answer, and for you to outshine others - you need more relevant information which you can present quickly and powerfully. 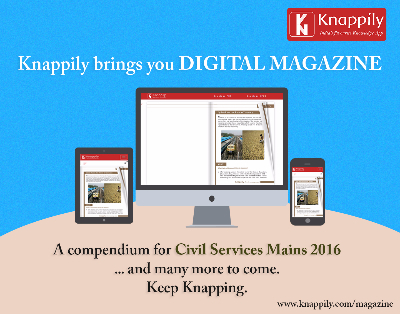 So here you go with Knappily’s online magazine that is designed to be a game-changer. Where are the distinguishing features of Knappily as compared to other magazines? There are many monthly magazines and books published by several coaching institutions and publications to aid an aspirant’s preparation. However, Knappily is very different (in a very good way) from all other magazines. We analyse and present the content in a unique 5W1H (What, Why, When, Where, Who and How) format. This is a scientifically established framework to conduct root-cause analysis. In less than two minutes, each "Knapp" can make you a subject matter expert on any topic. Knappily has done the research for you so that you don’t have to. The aim is to not just cure but also prevent the ‘analysis paralysis’ that has become symptomatic of our time-starved times. This magazine will immensely reduce your burden of referring to multiple magazines and newspaper articles. The magazine is our sincere attempt to smoothen your journey towards cracking this prestigious exam. Who must read this magazine? 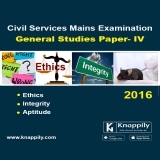 Aspirants appearing for Mains-2016: This magazine can be quickly glanced over by aspirants a few weeks before the exam. The Knapps are up-to-date with current events and we have provided examples, statistics, cases studies, etc. at one place. Aspirants planning to crack UPSC CSE 2017: The ones targeting to crack the exam in 2017 can align their preparation in the right direction using this magazine. New bees: The newcomers can also find the magazine useful as all the events are covered completely and one really need not go elsewhere to understand the news and issues better. Others: Anyone interested in gaining knowledge can read this magazine and be a part of the knowledge revolution. If you like what we do, you may want to keep it with you forever in the form of this magazine. How should one approach the magazine? Please write to us on feedback@knappily.com with feedback on this magazine, and any other suggestion that you have. We value each email we receive and always plan our next version in accordance with the suggestions you provide. If you really (really) like this, you can even rate and review us. We are excited to know how you feel about this. Hi Team Knappily. The quality of your coverage of important issues is unparalleled. I have one request, though. 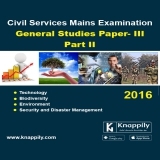 For the CS Mains exam 2017, could you come out with the GS magazines monthly, instead of just before the Mains exam? That will give us aspirants more time to benefit from your work, and also give the magazines a wider readership. Thanks for your wonderful work. Dear Indian, The decision of Magazine is the best thing. The contents and format is awesome. I am regular follower of your app. I have a request for you if possible then please provide your magazine in pdf format also since there is issue about internet connectivity in rural India. If you provide pdf then it will give boost in rural candidates, they can easily compete with metropolitan, Urban and rich students. Thank you very much for this initiative. Your Reader, -Ajit Shinde. Sangli, Maharashtra. Hi! I think this is a step in the right direction. Thank you team Knappily for doing this wonderful work. Being a civil service aspirant myself, I can testify to the immense relevance of the information you provide, to the exam. You compiling that information as per the GS syllabus of CSE is going to be tremendously helpful. Request you to continue this initiative through the coming years. I'm sure a lot of future bureaucrats will thank you for coming up with this. God bless you guys and keep up the good work.